One of the best playing fields of all-time is your very own backyard! 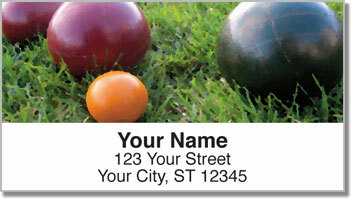 It is the perfect venue for games of croquet and bocce ball. That's because Dad took the time to make sure the lawn is perfectly mowed. Plus, you know the direction of every slope, as well as the location of all the gopher holes and tree roots. It is quite literally your home turf! 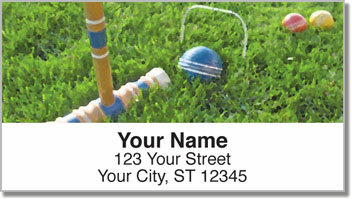 Lawn Game Address Labels from CheckAdvantage are a fun and efficient way to prepare all your outgoing mail. 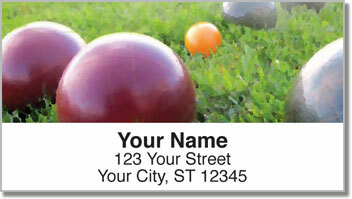 Save time by eliminating the need to write you your name and address by hand on every envelope! 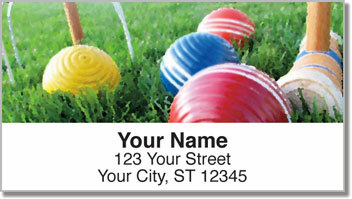 Get your own Lawn Game Address Labels today! Complete your order with matching personal checks.